After two first quarter field goals, number one ranked Alabama actually trailed in a game for the first time this season in their last game against Ole Miss. In fact, they trailed for the first time in ten games. However, that didn’t last long, because 15 seconds after the Rebels went up 7-6, Christion Jones reeled off a 99 yard kickoff return and the Crimson Tide went on for a 33-14 win back on Sept 29. 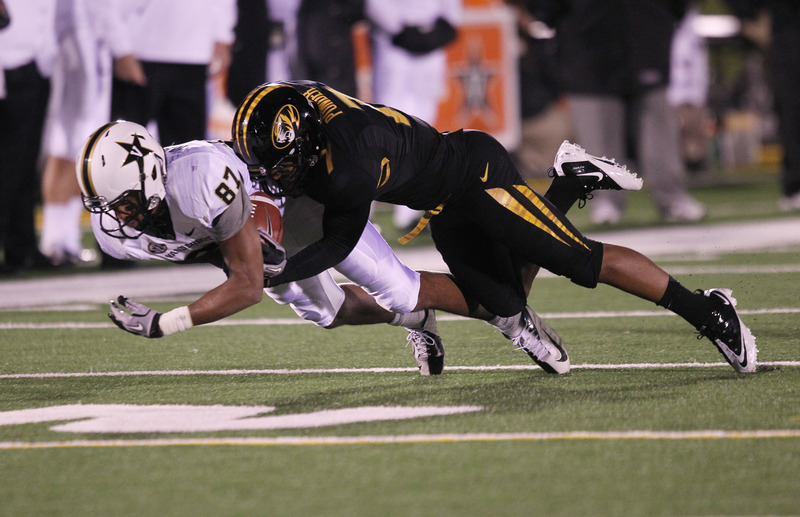 After a week off, the Tide will be well rested and ready to go when they face Mizzou at 2:30 p.m CT at Faurot Field. Here are a few Tide players to keep your eye on this Saturday. Andrew Gribble of AL.com has three players high on his report card. QB A.J. McCarron has been spreading the ball around to a wide receiving group that has plenty of new faces and was a big question mark coming into the season. McCarron has gone 73-of-111 for 999 yards with 12 touchdowns. He also has the school record for pass attempts without an interception at 206. He took the Tide record away from a former Kansas City Chiefs quarterback, Brodie Croyle. LB C.J. Mosley should get considerable playing this week against Mizzou’s spread offense. He is used as a nickel linebacker, and tied Alabama’s record for career interception returns for a touchdown with his third pick six against Michigan. He has 1.5 sacks, two pass deflections and a forced fumble. Mosley has been selected by the Alabama coaching staff as one of their defensive players of the week in all five games this season. CB Deion Belue is a junior college transfer who doesn’t get much publicity working opposite Dee Milliner who has two interceptions for the Tide. However, Belue also has two picks, but was exposed in the Michigan game. Since then he has become more reliable. He did injure his shoulder in the Ole Miss game and despite the week off, is still a question mark. Look for Belue, or whoever lines up opposite Milliner at CB, to be targeted by Mizzou QB Corbin Berkstresser, who gets the start over injured James Franklin. Because of Milliner’s and Belue’s combined four INTs, plus McCarron’s streak, the Crimson Tide lead the nation in turnover ratio.